At the big user conference last week in Nashville for RSA Archer, the market leading GRC solution, the loud and clear message from center stage was that the future of risk management belongs to risk quantification, the FAIR model and Integrated Risk Management (IRM). RSA Archer announced last March its Archer/RiskLens integration to bring FAIR analysis into the tool that’s industry leading for tracking governance, risk and compliance (GRC). In June, Gartner named quantitative risk analysis as one of the five critical capabilities of IRM. “When we say IRM, we mean a business-driven, agile strategy to not only connect multiple domains of risk but to also connect strategic risk with operational business transactions,” added David Walter, Vice President of RSA Archer, in the second keynote. 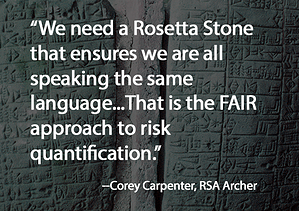 The current RSA Archer/RiskLens integration is just a start, Carpenter said. “In the next year, you will see a more seamless integration of RSA Archer/RiskLens with the inclusion of scoping data and more analysis. 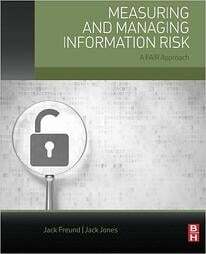 Additionally, we want to extend this capability to other risk disciplines: vendor risk, compliance, operational risk”.